It’s never easy to say goodbye to a friend. 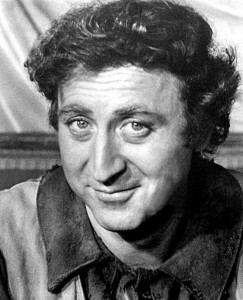 Gene Wilder was a friend to many the world over, who were familiar with his zany genius starring in such classic films as The Producers, Blazing Saddles, Young Frankenstein, and so many more. He too was a friend to the Los Angeles music scoring community, whose members created the music to a majority of his most beloved films. Wilder left us peacefully, at his home surrounded by loved ones, on August 28, 2016, at the age of 83. Read his obituary here. Visit listen-la.com to see a sampling of Gene Wilder films scored by AFM Local 47 musicians here in Los Angeles (composer and year indicated beneath title). This entry was posted in All News, Features and tagged #listenLA, final note, Gene Wilder on September 2, 2016 by admin.